Save Money & Stay Cool With A New AC! Central air conditioning systems have been the dominant choice for cooling and comfort for years, and for good reason. No other system supplies the relief from the elements as quickly as cost effectively as a central A/C installation. In an area like the Hudson Valley, NY, comfort is in high demand, and the experts at ComfortMaster are here to bring you the cool comfort you need! 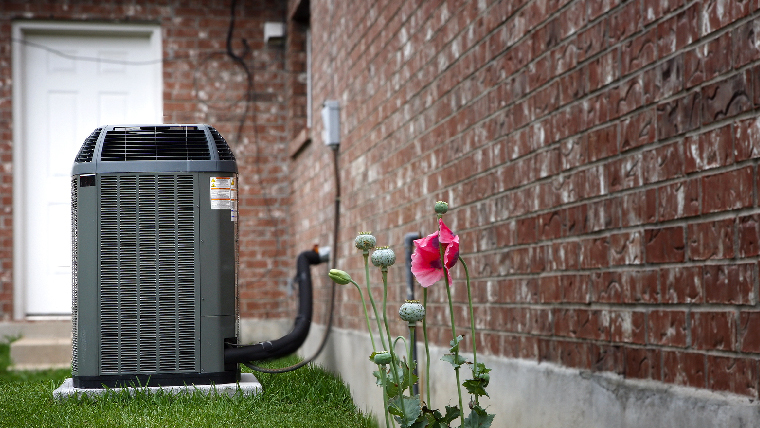 The professionals at ComfortMaster are proud to provide the very best central air conditioning units in the business, bringing top-tier products and services to your doorstep with every job. We guarantee our work, and promise complete satisfaction on all of our projects. In need of a central AC installation in your Hudson Valley home? Contact the professionals of ComfortMaster today, either over the phone at 845-265-6500, or online! Larger homes. Homes with multiple floors, or a large square footage may not be able to be efficiently climate controlled with mini-split systems, window units or heat pumps. Central air systems really shine in these places, offering the power and consistency necessary to keep your home comfortable. Busy homes. Homes with a large number of occupants often require central air to keep up with all of the activity and volume of the home. Homes with pre-existing central air conditioning. If your home currently operates with central air, but isn’t keeping up, you may consider a replacement to get the comfort you’re looking for. Fresh installations also carry the benefit of often reducing energy costs! Your air conditioner is past its prime. Generally, an air conditioning system will cease to operate optimally after 10 – 15 years. If your unit is getting on in the years, it may be a good idea to seek an overhaul of your system. Your energy costs are too high. This could be due to your current unit aging, or wearing down, an under (or over) sized unit, or an air conditioning system that simply isn’t up to your standards. Regardless of reason, ComfortMaster offers some of the best and most efficient units on the market. Your current unit breaks down a lot. If your system is nickle and diming you to death, consider what options are available to invest in a new air conditioner. We have great financing options to fit most budgets. Your current system cannot keep up with your needs. Sometimes a home or business owner simply wants something with more capacity to handle the most extreme conditions. ComfortMaster has what you’re looking for. Our custom-fit air conditioner covers are custom-made to protect your unit. A cover protects your unit off-season from leaves, snow, sleet, yard debris, grime, salt water and condensation build-up. Each cover is made of heavy-weight vinyl designed for outdoor use. It is mildew-resistant and will not crack when temperatures drop down to -20 degrees Fahrenheit. Covers are designed to be four to six inches off the ground to allow for your unit to breathe. To order, all we need is the make and model number of your unit! We can also create covers for mobile home units and window air conditioners. We have more than 4,000 makes and models of air conditioning units for which we can create covers. You can choose from: maroon, beige, gray, navy blue, brown, green, chestnut, teal or classic black. Our team of specialists are proud to offer the very best in the business, and we want nothing more than to extend our excellent service and skill toward your needs. Your goals always come first with ComfortMaster, so contact us today online or over the phone at 845-256-6500 for more information about our central air installation and repairs!